In the time it takes for a traffic light to change, you can transform your motorcycle from a city cruiser to a cross country hauler. 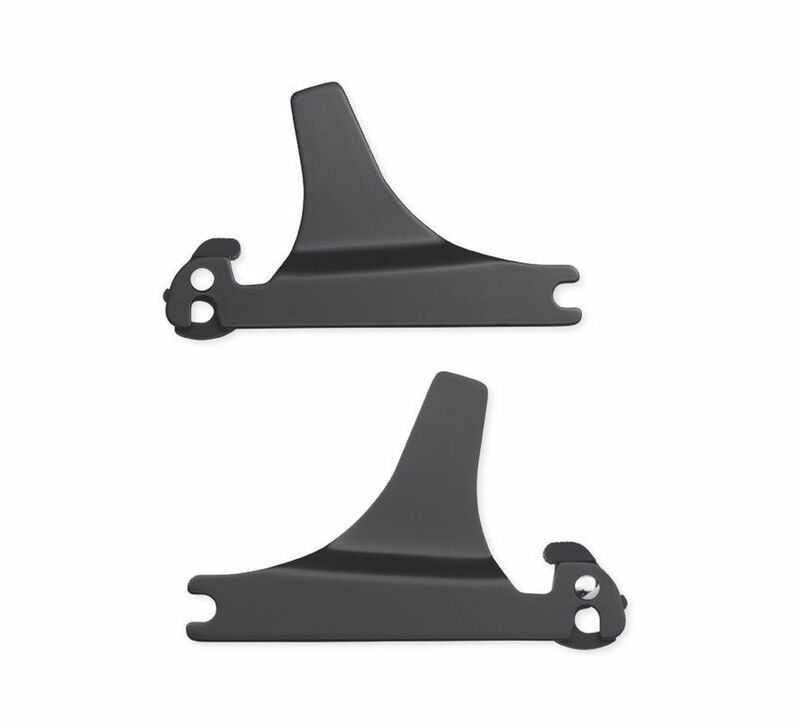 Forming the base for this quick change act are Harley-Davidson®'s exclusive Detachable Sissy Bar Sideplates. Adding or removing is a simple "slide and click"
Fits '00-later FXST, FXSTB, FXSTS, FXSB, FXSBSE, FXSTSSE/2/3, FLSTFSE2, FLSTSE/2/3, FLST, FLSTF, FLSTFB, FLSTN, FLSTNSE, FLSTSB, FLSTSC models with or without saddlebags (except Heritage Saddlebags P/N 90876-05). Requires separate purchase of Docking Hardware Kit and may require Directional Relocation Kit. See chart for your application.